I have not been to the museum for well over a year and the last time we went it was such a rush around job with the little ones not interested in the actual museum but the activity centers. Last week, Midge and I grabbed a train and headed to Truro for a mum and daughter day out. I love history, adore it in fact. I'm useless with names and even worse with dates but I love seeing these objects from hundreds of years ago, I love learning facts and hearing stories. I love touching these statues and stones that are so, so old and we have no idea how many people now so long ago have laid their hands on the exact same objects. Amazing. Now I'm done getting my geek on, let me share with you our wonderful trip! We started with a little shopping in the town center. I bought myself a new cook book and some earrings and Midge bought herself a new purse and some clip on earrings. I made her try on this hair band because I knew how sweet she'd look! We then went to Truro Cathedral which takes my breath away no matter how many times I go in there. We walked around and saw a small art exhibition inside too. After our little tour we went to the shop where we bought some gorgeous non edible Easter eggs and some postcards for our collection. Then the museum! I paid £5 to enter the Royal Cornwall Museum and now I have a whole year free entry! Children are free already so it's a really cheap day out. We checked out the feet of Cornwall's tallest man (The Cornish Giant) and a beautiful coach from the 1700's. Midge was keen to go upstairs because we were told there was a mummy up there. I got half way around the 2nd floor before Midge got bored with my fact reading which was a shame but for a six year old she did well. There's only so many statues, cutlery and trinket boxes you can look at before you get the itch to move on, so I can't blame her! We found the next exhibition to be great for Midge though. Romans, Greeks and Egyptians. We then did some activities like having a go at mummification before moving downstairs where we looked at the animals of the ocean and nature on land. We looked at dead insects through microscopes and traced animal paw prints. We even saw a stuffed fox and hedgehog. 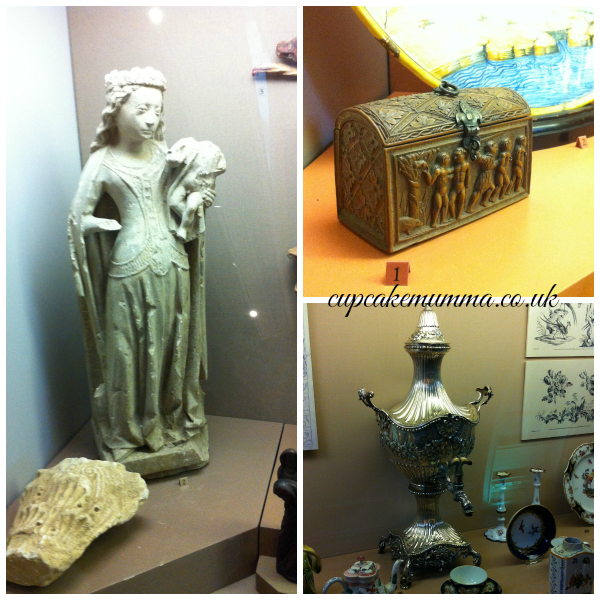 We had an ace time at the museum and we had so much fun together. Before heading back on the train we shared a large tray of chips and went for a stroll. It sort of felt like an early Mother's Day for me I suppose, which was lovely. Have you been on any days out recently or had any adventures of your own? Do let me know! Hey, it's that time of the week again where we look back at all the things we got up to. I really need to snap more photos! I visited the local library and found a book by my favourite author that I haven't read yet. I also found a craft book for the little ones. I visited the library after a huge cleaning spree (you wouldn't bloody know it now though!) I'm pleased my growing Care Bear collection is now safe in my bedroom! I treated myself to a orange hot chocolate and found some mini bakewells suitable for my dairy and gluten free diet. I do love Costa. I visited a charity store this week, only the one because I had my niece and she wasn't happy in her buggy on this occasion! I snapped up a book (again by Phillipa Gregory) and a gorgeous ornament of London. I love London but I've never been properly!! On our weekly food shop I discovered some delicious sorbet and watched Little A enjoy his Thomas Ride. We had to buy crisps and a large yogurt on the way around because he decided he was so, incredibly hungry! Bless him. On Friday, Midge had a non uniform day with a 'grow' theme so we dressed her up in some normal clothes and I painted a flower on her face. She loved it and Little A had his very first face paint too, a small sun on his cheek! I painted my nails a beautiful purple and added a bit of sparkle. A nice bit of 'me' time. My Mum came over on Saturday for the evening which was nice as Jason went out with a friend. My two looked out of the window waiting for Grandma to arrive and later on had snuggles watching Monsters Inc. How sweet. Question: What was the last thing you did for yourself and let it really matter? I get to pop to the shops on my own every now and again but the knowledge of returning home to my 'jobs' often lingers in the back of my mind. This means I'm not focusing fully on myself and my time alone. It means, instead of thinking through other things whilst I sip my hot chocolate, I'm focusing on other people and not myself and my precious me time. I may get to paint my nails in quiet but I find I never pick the right time and rush through what should be a more delicate and peaceful piece of me time for fear of getting interrupted. Self care is so very important yet we as parents put our needs to the bottom of the pile and often forget to look after ourselves. To nourish ourselves physically and mentally. If we do not look after our own physical and mental health, our well being, if we continue to neglect ourselves and place ourselves to the bottom of the pile then we can become lost. We can become tired and frustrated and become heavy from the day to day lives we lead. I'd like to share with you some ways I look after myself. I have always needed me time. I have always needed to be alone on occasions or to fulfill certain challenges and adventures either by myself or with friends. I have a husband who understands this and supports me. We recognise that we are not only parents but people too who have needs, wants and feelings that all need to be fulfilled in some way or another. Have you ever heard of 'morning pages'? Before my SoMum retreat I certainly had not. After a session of yoga and meditation we opened our note books and let the pen flow. Find a space and close your eyes, relax and breathe, even if it's just for 5 minutes. 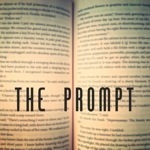 After that time, open a notepad and write. Don't think anything in particular, just write. You can keep your written word or simply throw it away. I also write a personal journal for my thoughts which I keep private and a prayer journal which is self explanatory. I like to think of others in my quiet time but I do not think of their problems too much, just write a simple prayer or note and leave the rest to those above. Same goes for having that time away from your children. I miss my children when I'm away, of course I do but I am a more refreshed and happier mother when I return. Why should I feel guilty!? Also enjoy those moments of a good food treat. Don't fill your mind with talk of fatter thighs and greed. Enjoy, indulge- be guilt free! How many times in a day do you put yourself down? 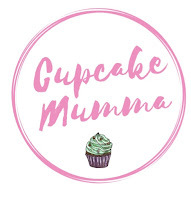 About your appearance, your weight, your choices, your 'mum fail' (a term I hate no matter how playful!) I'm frequently guilty of saying how I feel is 'stupid' 'silly' how I'm 'such an idiot'. I would not say these words to another person, so recently have made a point to not say them to myself. My feelings are as valid as the people I frequently talk to. My mistakes are not due to being stupid or an idiot- they are mistakes and we all make them. Self care can be incredibly simple. It can also need lots of searching and can call for change to our habits (the above should be easy but yet we make it quite the opposite) I invite you to think about how you care for yourself and whether you could do more. If you can make improvements to your self care, how do you think this will change you and make you feel as a person? 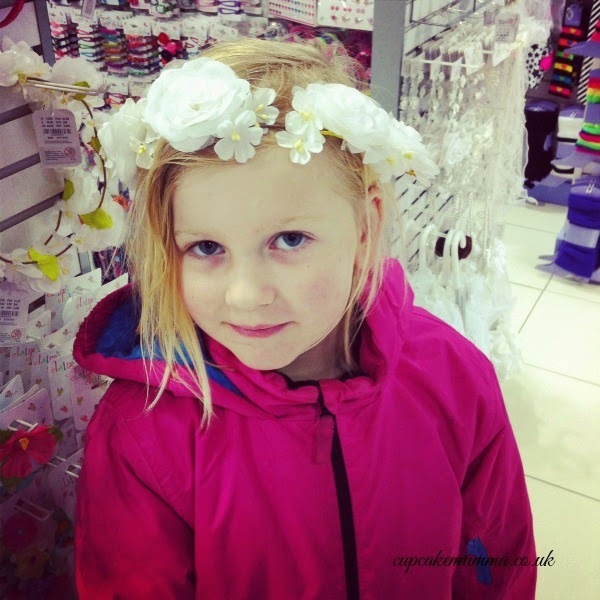 *I wrote this post inspired by Pippa and her work at Story of Mum. She is holding a wonderful Blogging Self Care Carnival that I hope you'd like to check out. 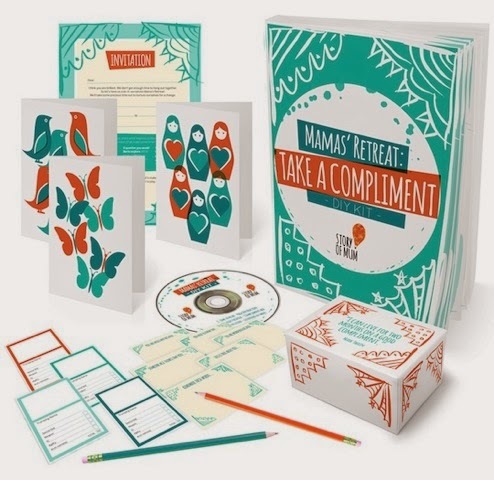 I'd also like to take the time to mention a wonderful new kit that Story of Mum has released: The DIY Mama's Retreat Kit! This kit is full of creative ideas, a lovely yoga session, tips on how to make various crafts and spread the love with your fellow Mothers and friends. Please do have a peek! I was lucky enough to go along to an actual Mama's Retreat with Pippa and some other wonderful Mothers. It is so worth the effort to gather some friends, leave the children for an evening to rest, nourish and find that part of you again. If you'd like to join the swap, please mail me: cupcakemumma@yahoo.co.uk you can also leave me a comment with your e-mail address, which ever you prefer! Swaps should be made by 25th April (a nice after Easter gift) and feel free to add an extra something if you wish. As it's a mug swap, the only requirement to the swap is that there is an actual mug somewhere in the parcel, any extras are entirely up to you! 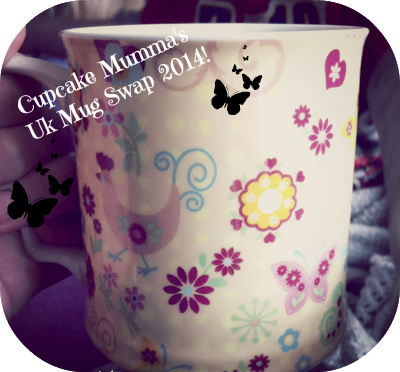 If you blog, I'd love to see your mug swaps and will be placing a link up on my blog when my own post goes live, so do join in. Please note, you do not have to be a blogger at all, this swap is open to everyone as long as I have a way of contacting you, swap away! I really hope you'll all enjoy my swap and fingers crossed it'll be as successful as the previous 2 years! 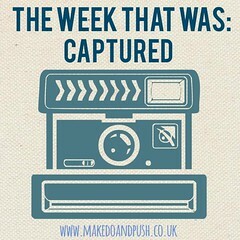 My Week that was Captured! I've not joined in My Week That Was Captured for a while and I miss reading my blog and not seeing what we've been up to lately! It's amazing how quick the weeks go by and how quickly I forget recent goings on. After my Sleep-out with Kat, I came back to Cornwall with her and her boys which was lovely. On Monday she left for home which was a bit sad but we'll see each other in June for a bloggers meet up in Exeter: woo! After we said goodbye I took Little A to Costa for some quality time and met up with my mum. I've been cleaning a heck of a lot. I've lost count of the donated charity bags and junk filled black bags for the tip/bin! House is no where near where I'd like it! I met a friend for half an hour and we went to a local beach for a chat. The cafe was closed so we took in the fresh air, caught up and took some lovely seaside photos instead. I signed up for a South West blog meet. My first one! Before our usual boring old food shop we bought some mid morning snacks from the bakery. Little A polished off a cake pop then stole his Dads large Cornish pasty on the bus! To end the week, we watched Daddy play football (sadly due to an injury he didn't stay on that long but the match was good anyway) Midge stayed for chip butties at the club whilst I took A home (anxiety grr!) on Sunday we had a lovely family breakfast. I forgot my phone so no photos! I love this photo of A and Midge. 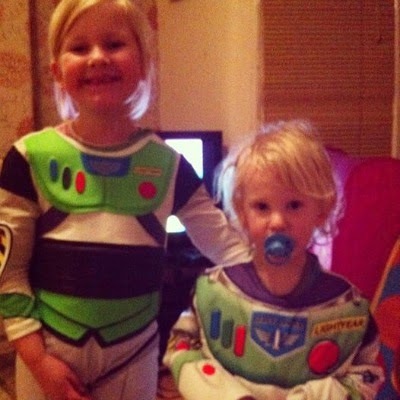 It shows how quick they're both growing and it's mad! A is only 3 and I've never noticed how tall he is against his big sister. People have always said my little ones are tall and although I never disagreed I just didn't take a lot of notice! I did today! 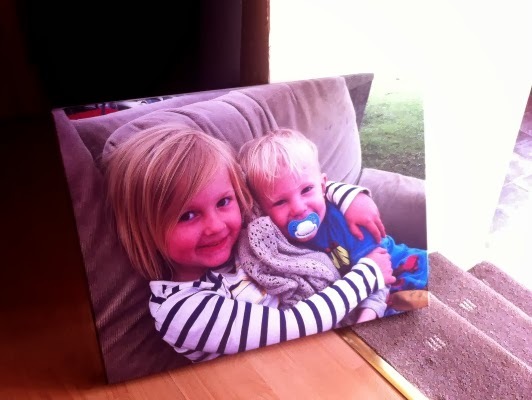 This photo was taken as we were walking to the local football pitch to watch Daddy play. Now A is older he's better at holding hands (he had to be because he has a real hate for his buggy!) and what's really nice is that every now and then he'll slip from my hand to grab hold of Midges. They're both very good walking together and Midge is very impressive to watch as she steers A from dog poop, spiky bushes and stops immediately before crossing the road with me. They're growing so fast, somebody stop them!! 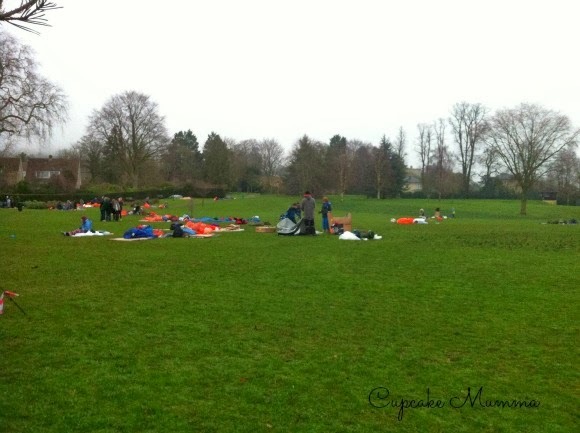 On Friday 7th 2014 I headed to Bath to meet up and sleep out in Alice Park with my good friend Kat. We were a tad apprehensive as was expected but it seemed, to me at least, as a bit of an adventure. That feeling soon disappeared when we bedded down for the night with a 3 degree temperature and reality sunk in. This wasn't an adventure at all but an experience. One I won't forget. We slept with some sheeting over us to protect us from the damp and rain (thankfully it didn't rain) I wore 3 jumpers and my waterproof jacket, 3 socks and some pj bottoms under my jeans. We started settling down around half nine just talking and catching up. It was far too early to contemplate sleep knowing it would feel like forever wasn't a comforting thought! 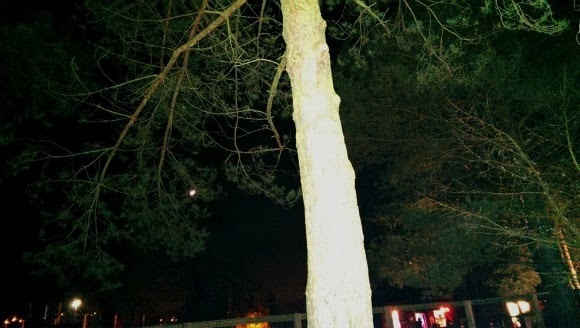 At half past midnight I felt the temperature drop so made myself as comfy and warm as possible in my sleeping bag and nodded off..until 2.30am when I woke feeling an unbelievable cold in my legs. I was shivering, all I could think of was "what do people do in this situation?" Curl up? Fidget? I moved my feet, I rocked side to side but nothing helped. I cheated; took a cosy toe warmer from my foot and placed it between my knees. Instant warmth just to that small part of my body spread. It was wonderful. It was now one degree in temperature, so I'm going to forgive myself. At 3.30am I woke again but this time with earache. This was probably due to squashing my ear in my sleep against my rucksack (temporary pillow) not that comfortable as you'd imagine but I decided to turn over and pretend it wasn't happening! After this wake up I was on and off until half six when others were also stirring, tidying up and waiting for their thank you bacon sandwiches. I had a very humbling experience, a real eye opening one at that. I don't really have anymore words, I just have feelings. I will be a better person because of this experience, that's for sure. I thought id blog about the dislikes of my journey so far. I've only got one more stop before Bath so I'm sure nothing can happen to make it on my list..fingers crossed. I only found out this morning that my route was changed slightly giving me no time to prepare for the journey ahead. These things happen, the floods have wrecked parts of our country. Doesn't mean I have to like the prospect of a crappy coach journey. The smells. Oh my sweet lord the smells on the train! Two gentleman placed themselves in front of me and I can't say I welcomed the armpit whiff. Same said gentlemen then opened tuna sandwiches. I know it's a free country but please, please, please, no tuna on a train! I adore tuna, really I do but not in a confined space. Finally there was the smell of fresh coffee which almost killed me off. I could've moved but I'm British, why not put up with it and complain (moan) in a blog post instead. Plymouth was a large pool of busy people waiting to have their tickets checked. Seemingly being 5ft 1" (and a half) means I don't exist to tall older men. His need for the coach was far greater than mine obviously. Fair enough, but almost climbing over me to get there won't help. Probably because I'd bite your ankles.. Finally on the coach (where I'm blogging from!) and I'm not enjoying the coach toilet smells being offered up. I don't think any of us are to be honest. I may be considering threatening violence on the man in front who won't stop fidgeting in his seat. I am thinking the lady next to me won't mind if I borrow her knitting needles for this purpose.. I was going to finish this with some positive experiences but I have a numb backside and it has come to my attention my melting muffin needs eating. I haven't joined in with Sara's link up for some time, I just don't seem to be able to use my brain effectively at the moment! This weeks prompt was great because I could draw from recent experiences. I've been thinking a lot about my personal journey with anxiety recently and how far I've come, how much I've changed. I used to not be able to pick up a telephone, pay for my own items at a check out. I certainly would not have gone out and met people, attended toddler groups and other various challenging situations. I've noticed just how different I am now and that I really need to let go of a lot of fears and worries I hold close. Fears of being mocked and stared at whenever I open my mouth for example! It was proved to me just last week at my Mamas Retreat that I can speak in front of people and I won't be laughed at, not taken seriously and mocked. Why I hold onto these thoughts I will never know. Proof perhaps that bullying is an incredibly powerful act to inflict on someone because it stays with you for a long time, years in my case, and if I don't continue to fight my own insecurities; for life. Powerful stuff. It was even revealed to me as I spoke in front of 11 other women that I don't even blush! What!? My face twitches and feels as though it's on fire. How the heck can I not be blushing? But I believe these women, especially several who are now wonderful friends. They wouldn't lie to me. I only refused to believe my husband because he loves me, he would say anything to make me feel better. I'm not sure where I go from here. Without seeing myself not blush it's hard to believe it's not happening. Can I really convince myself!? If I can, my life and myself will be so different I'm sure of it. So there's me rambling and reflecting on me and last week. Do you have any experience of this? I'd love to hear from you! Heading to Bath for the Big Bath Sleepout! I'm feeling nervous now. Last night I went to bed in my pj bottoms, onesie and a hoody. I was shivering even though I had cocooned myself in a duvet and quilt. Reality sunk in at that moment I can tell you! I hate being cold, I really do. I don't expect any sleep tomorrow although the weather for the evening looks positive so fingers crossed. I may hate the cold, the damp and the wet, but I'll be returning to a home. And when this weekend is over I'll be returning to my home, my family, my hot shower and comfy bed. I'm already grateful for these things but I think I'll be even more so after tomorrow. So, I'm off to spend some time with my family, pack my things and probably panic! I can't believe it's now March but that's okay, I have a few exciting things to look forward to this month. My sister is coming home, I'm staying with a good friend all weekend and meeting her gorgeous boys and a few personal projects to look forward to as well. 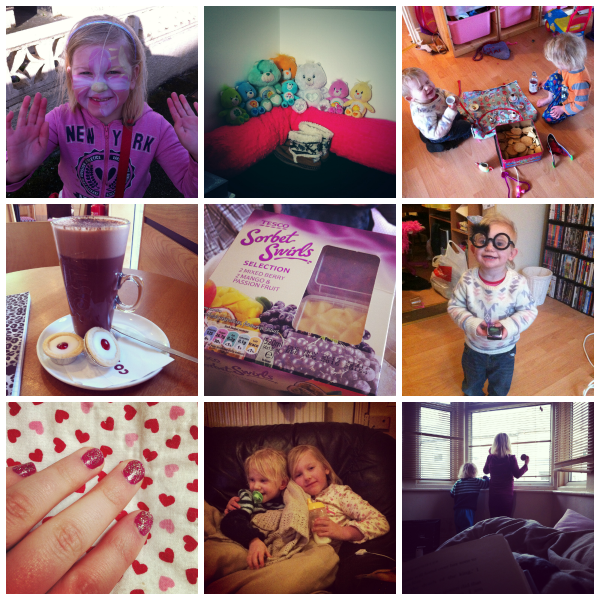 For the moment, I'd like to share my happy February moments. 1) I haven't quite gathered my thoughts on the experience yet but on the 24th and 25th I went to a Mamas Retreat with some beautiful women and had a wonderful time in a secluded area just us and our thoughts, the wind, sea and such good food. 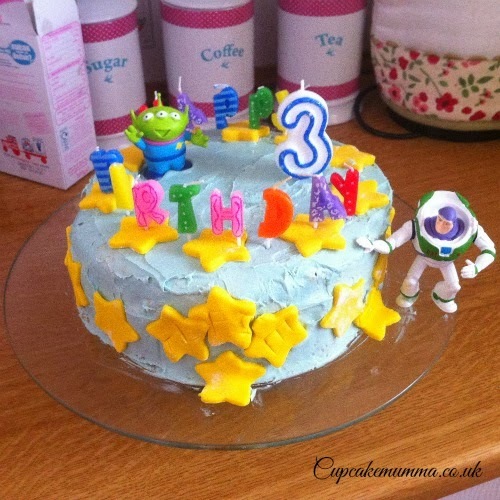 2) Little A turned 3 this month. Sadly his birthday was a waste of time with being poorly all half term but still, he's now on the mend and we're looking forward to a weekend of soft play with Midge and Daddy. 3) I had some lovely cards from America for Valentines Day. I took part in a card swap for valentines and what I received in the post was truly lovely. 4) I gave blood for the first time and it wasn't as bad as I thought it would be! 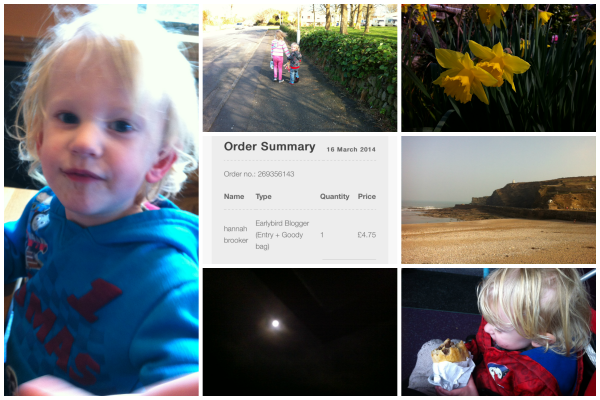 5) Jay, Little A and myself went to Penzance for the day and took some lovely photos. We ate the best chips! 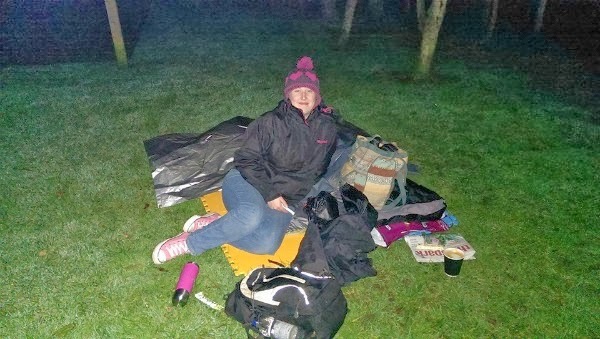 6) I signed up and started fundraising for The Big Bath Sleep Out which will take place on the 7th March. It's getting closer! 7) I met one of my best friends at the Mamas Retreat, my blogging buddy Kat (Kat Sighs) it was so nice to catch up again. I can't wait to meet up again real soon. The yoga and food made her go a bit..weird! 8) I'm still in the Tots 100 top 500. This pleases me probably more than it should but I'm proud of my blog so feel pretty happy to still be up there! 9) I've started on Project House. I've bought a nice storage unit from ikea to replace the toy boxes (my first Ikea purchase!) I've bought beautiful cushions, coat hooks and even a new fruit bowl. No where is safe from the make over! 10) I've found millionaires shortbread, flapjack and pickle that's all in the free from food range! It's the small things after all. A book has not been opened this week let alone finished or started. I have been reading my blogs as usual and I've been reading back on the notes I took at the beginning of the week whilst away on my little Mums Retreat. I wrote some powerful thoughts that I will read again and again for sure when I'm at a low point. I've had a lot of catching up to do! I've enjoyed Eastenders and Coach Trip as usual but am yet to watch One Born I hate how broody it makes me so have been putting it off! I watched Jonathan Creek last night and was really disappointed with it. I hate seeing the crime happen before the investigators know anything. I enjoyed listening to the wind, rain and the crashing sea as I walked around the gardens and laid in bed at the beautiful house we stayed at for our retreat. I also heard lots of stories and thoughts from inspiring women. Welly boots have been essential this week as have warm clothes, especially to bed! My attic room is freezing cold, anyone else's? I've been wearing jumpers and even woolly hats to bed! OH this week I made a collage of things that nourish me and Mum Trump cards, all inspired by Story of Mum of course. It was great fun sitting down and making these things with lots of other women. I leave you with a photo I took on Tuesday 25th February. Cook pancakes on both sides and place onto a warm dish. Add your poached egg to your pancakes, add a squeeze of lemon to your green beans and season if desired. A really easy, simple and delicious dish. Gluten and dairy free too! 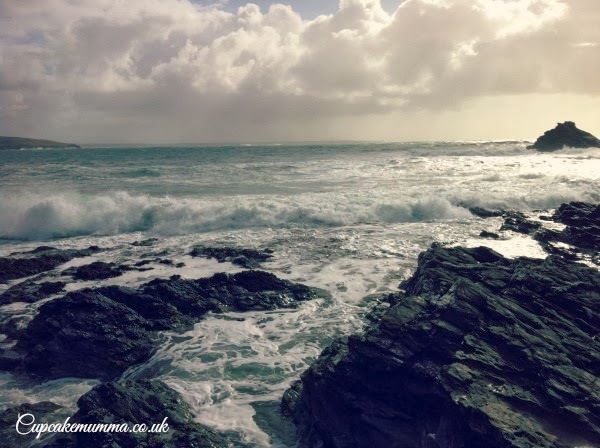 Yes, I had a wonderful 24 hours off 'Mum life' at the beginning of the week when I visited Prussia Cove near Penzance for a Story of Mum Mama's Retreat. It was wonderful and I can't wait to be able to gather my thoughts more clearly and share my time there with you. It may have been wonderful but it wasn't easy. It doesn't matter what people thought of me, inside I was terrified. I had to meet lots of people I didn't know, be in a room full of women (worst nightmare!) and the most terrifying of all, I had to actually speak in front of people. It was tiring and emotional and although I felt great for the most part, it was tough. I really don't think I was alone either. Since coming back it feels like I shouldn't have bothered. I felt empowered when I left but since then I have been dragged down by continuous toddler tantrums and poor sleep. The phase that Little A had gone through and seemingly left behind a few months ago has reappeared with a vengeance. He hasn't head butted the floor or the bed in so long and yet now we're back to it. I can't leave him alone because he will hurt himself. I approached the local health visitors recently but am yet to hear from them. I don't think they can help to be honest, I've been told these rhythmic actions can last until 4 years of age. Perhaps finally changing him over to his big boy bed will at least prevent the head banging there and then..well, the rest is just a bad temper! Isn't it just so rubbish when you have some time to yourself and return to an unhappy home. I'm just desperately trying to remember Monday and Tuesday and all those nourishing thoughts.